Our range of products include Alfa Bottle, Aromaz Bottle, Baby Bath Bottle and Conical Bottle. Pioneers in the industry, we offer Almond Bottle, ASL Bottle, Bonitto Bottle and Colin Bottle from India. We are a leading Manufacturer of Cream Jars, Gel Jars, Hand Wash Packaging and Talcum Containers from Ghaziabad, India. Leading Manufacturer of Dry Syrup Bottles, Pharma Bottles, Povidone-Iodine Bottle and Round Pharma Bottle from Ghaziabad. We are a leading Manufacturer of Honey Jar, Spice Jar, Jerry Cans and Pickle Jar from Ghaziabad, India. Our range of products include Flip Top Caps, Screw Caps, Pilfer-Proof Caps and Child Resistant Caps. 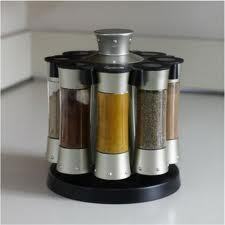 Providing you the best range of Spice Bottle with effective & timely delivery. Manufacturer of a wide range of products which include Press Top Caps, Flip Top Caps, Tablet Container, Droppers and Eye/ear Drops Bottles.